Le Kiff is a restaurant located near the town of Puerto Vallarta, Mexico. This picture was sent in by FA. 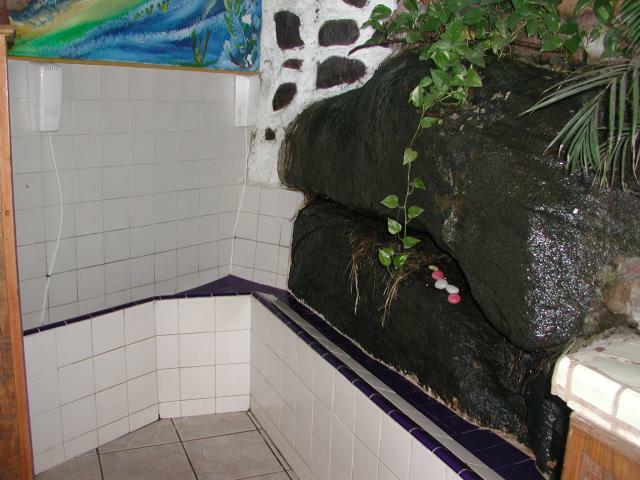 He writes: "This impressive urinal forms a zig zag and tropical plants grow on the side, much like the surrounding rain forest..."